There are complex design fireplaces, requiring the construction of professional skills and experience. But a simple model of the fireplace can collect each host. The dimensions of the fireplace count, based on the parameters of floor space in which to operate the fireplace. Another starting value is the volume of this room. To begin calculate the portal of the firebox, that is the very furnace hole. Divide the amount of floor space to 50. Now the same amount divide by 70. Obtained two results are the maximum and minimum value of the square flue openings designed fireplace. For example, if your room is 10 square meters, the portal of the firebox shall be not less than 0.2 square meters. Now calculate the height and width of the firebox of the fireplace. Consider these proportions: for small fireplace height relates to width as 2:3. That is, for your example, the portal of the firebox, with an area of 0.2 square meters, must have a 36 cm high and 45 cm wide. Navigate to the calculate the depth of the fireplace. Keep in mind that this parameter is the most important because a large depth reduces heat loss in the room, and the small size of the depth causes the smoke. 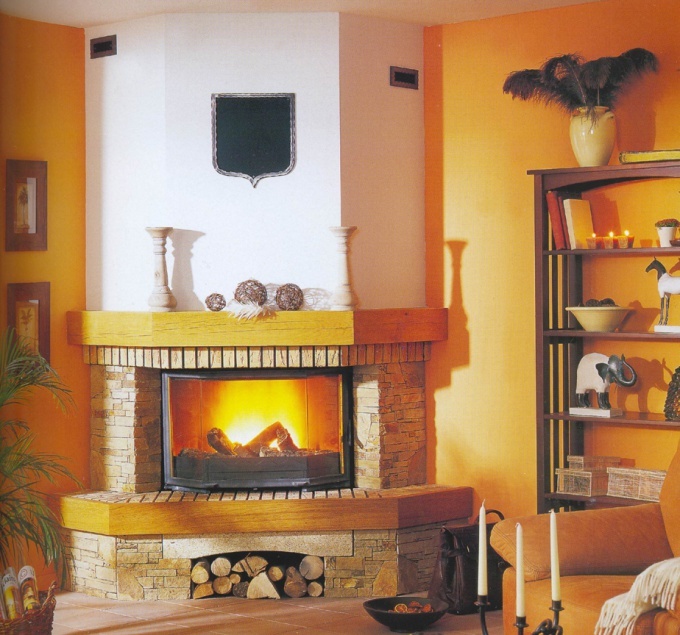 Count on the smoke hole of your fireplace based on the square flue openings. The smoke hole is recommended to be reduced to 8-15 times, starting from square portal. So in a room with an area of 0.02 square meters, flue brick chimney of the fireplace are built in sizes from 14x14 to 14х27 see If you plan to use the fireplace the chimney with round chimney, you must ensure that its diameter is from 8 to 14 cm.